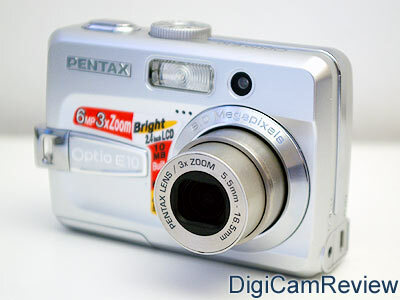 Introduction: Announced on the 4th of January 06, the Pentax Optio E10 is a new, budget 6 megapixel digital camera with a 3x optical zoom lens, a 2.4" screen and a compact plastic body. The 3x optical zoom lens is equiv. 35-114mm on a 35mm camera. 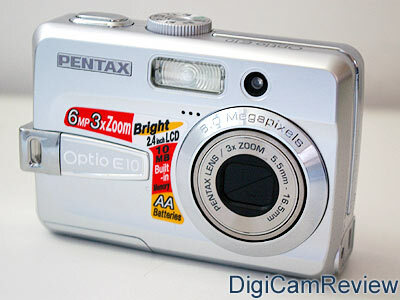 The Pentax Optio E10 is available from around £97, this makes it good value for money for a 6 megapixel digital camera. 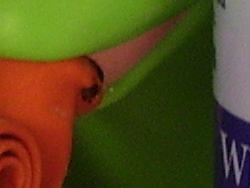 The camera is enclosed in a plasitc body.. The E10 records videos at 15fps and with a resolution of 320x240. The camera is quite compact - the body measures: 87 x 60 x 32mm (without protruding parts), and weighs approx. 130g. 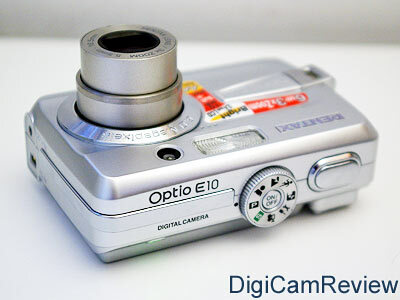 "The Optio E10 offers entry-level compact digital with 6.0 megapixels and a 3X optical lens. Even novice digital photographers will enjoy the slim, lightweight body and the Simple mode selection dial. Add a high resolution 2.4 inch LCD, 10 MB of internal memory, travel-compatible AA battery power, high quality AVI Movie capture, and the Optio E10 makes a perfect digital choice." 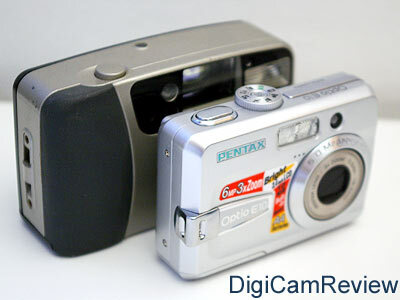 Front - Camera on - Flash, Blue LED (for self-timer), Pentax 3x optical zoom lens. Back - 2.4" screen, LED, zoom control, playback, menu, delete, 4-way controller, OK/Display button. Right: Strap loop. 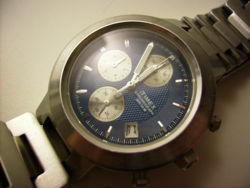 Top: Power button, mode dial, shutter release. Bottom - battery / memory compartment, plastic tripod mount. Side: DC In, PC / AV connection. 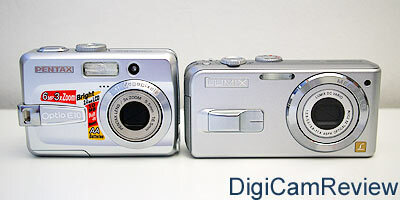 Size comparison, compared to the Panasonic Lumix DMC-LS2. Average box contents - There is no memory card provided with the camera - instead there is only 10mb of memory built in. Some kind of case would have been nice, as would a full printed manual. Battery usage: Battery life seemed average, using Alkaline batteries, I managed to take around 70 photos before battery empty appeared on screen. With high powered rechargable batteries, battery life should be much better. Pentax rate battery life as 80 shots with Alkaline batteries, and upto 300 shots using high power (2500mAh Ni-Mh) rechargable batteries. High powered rechargable batteries are highly recommended, especially as they last longer, can be used repeatedly, and don't cost much more than normal alkaline batteries. Menu Options / Modes: The camera mode is selected using the top dial. This allows the choice of: Simple Mode, Program Mode, Portrait, Landscape, Sport, Night, Setup, and Video. Screen / LCD display in photo mode: The 2.4" screen has an average resolution of 110,000 pixels - this makes the screen grainy. The screens colour when viewing photos from other cameras is quite good, but when viewing photos taken with the Pentax Optio E10, the colour looks quite poor. The screen is fairly clear and the text and menus are easy to read. The screen updates are quite slow and choppy. Optical / Electronic Viewfinder: There is no optical viewdfinder on this camera. Playback mode: Scrolling through the photos is a bit sluggish / slow. The zoom is fairly quick but only allows you to zoom upto 4x. A thumbnails view was available that shows 9 photos on a screen. Further photo information was available by pressing the display button. Playback menu options: (left) Slideshow, Protect, DPOF, Resize, Quality change, Image copy. As shown in the table above, you can fit a low number of images in the 10mb of provided memory - and therefore a large memory card is recommened. There is a fairly limited choice of image sizes, and it would have been nice to have the option of different aspect ratios. Speed: The camera is slow to switch on and take photos, being ready in around four seconds. Focusing seemed slow - taking around around 1 second or longer indoors. The playback mode is a bit sluggish, with photos taking a second or two before displaying when going from photo to photo - however the zoom is quite quick. The camera shutter response seemed average when pre-focused, with a response time of around 0.1 - 0.2 seconds. Shot to shot time was very slow, with a delay of around 7 seconds between shots without flash - switching image review off made this around 2 seconds quicker. Thankfully the flash recharge didn't slow the camera down, and shot to shot time was roughly 7 seconds with flash. The cameras menus seemed fairly quick. On the High Speed continuous shooting mode, shot time is slow, taking a show every 1.6 seconds, at the highest resolution. 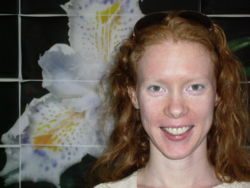 Ease of use: The camera is very easy to use, especially in the Program, Simple (S) mode and scene modes. The controls on the back of the camera are quite straightforward - the menus are responsive and easy to read and navigate, and the options are big enough and easy enough to see clearly. The modes are easy to access, quick and simple, mainly thanks to the mode dial which makes it easier to use. 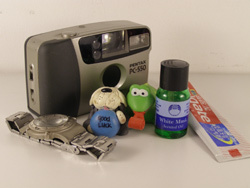 The shooting modes (such as continuous shooting) are accessed using the self-timer button - once found it was easy to access. Ergonomics and Buttons: (Feel, placement, labels, etc.) 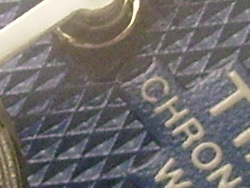 The buttons are fairly easy to use, and they are in a good position. There aren't too many buttons on the camera, which should make it simpler to master the cameras basic functions. The buttons feel okay, although some may find them small. The shutter release is good. The four-way controller is on the small size, but provided quick access to most common functions such as self-timer, macro mode etc. I thought the camera felt good ergonomically, although there is little in the way of a hand grip. The mode dial, shutter release and zoom are well positioned - allowing one handed operation. The camera feels quite solid, despite the plastic construction. 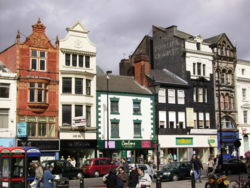 Image Quality: Here are some real world sample photos taken in various settings, such as Inside, Noise, Outside, Zoom, Macro, to demonstrate the quality of pictures taken and also show different features of the camera. Larger versions of these photos, plus more photos are available in the Pentax Optio E10 Sample Photo Gallery! Inside: The camera has quite poor colour indoors using flash. 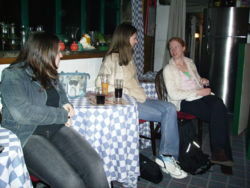 The photos have a lot of noise, as they were taken at ISO200 when the camera was set to AUTO ISO. The camera struggled to focus the majority of the time in low light, taking a very long time to focus and taking numerous attempts to get a photo that was correctly focused! If you intend to take any photos indoors then this camera is best avoided at all costs! Red-eye seemed low. The flash was average. Noise: Noise is generally a bad thing - it removes detail, and gives a grainy effect over the image. 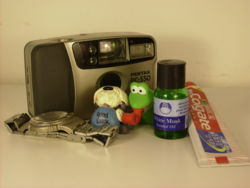 With digital cameras noise can be a real problem as digital camera noise is often made out of blue, red or green dots. As the ISO setting increases, pictures tend to have more noise. Noise is most noticeable in dark areas of photos. The camera has an Automatic mode for ISO levels, and manual ISO settings (ISO: 64, 100, 200) - below you'll find the noise test image, plus actual pixel crops from the image taken at different ISO settings, compared with the 6 megapixel, 10x optical zoom lens Olympus SP-500. ISO Noise Test Photo - Flash off unless otherwise stated. 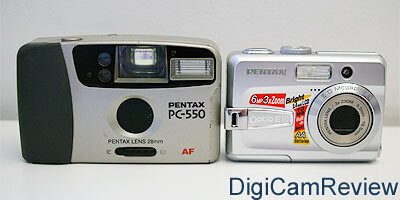 Pentax Optio E10 on the left, Olympus SP-500 UZ on the right. 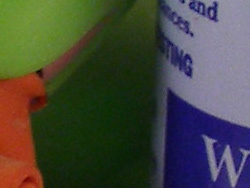 The colour difference is due to automatic white balance. Noise is generally high on the E10 - and images are have more noise than on the Olympus SP-500. While the Olympus SP-500UZ has much lower noise outdoors on bright sunny days, the Pentax Optio E10 has noise in all images, even when using the lowest ISO setting of 64 and even in bright sunlight. 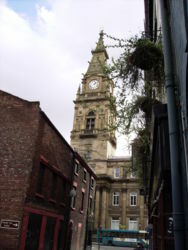 Outside, the camera has quite dull colour, with fairly low saturation and contrast. There was good detail although some images seemed a little soft. Noise seemed quite high for ISO64 / ISO100 photos. Daffodil photos come out looking the wrong colour. The photos shown above are some of the better outdoor photos acheived. Zoom: The Pentax branded 3x optical zoom lens provides average zoom range. 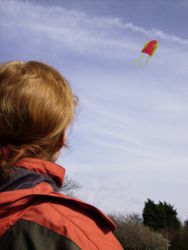 Digital zoom simply degrades image quality and better results can often be obtained using software. I've included examples to show what is possible. 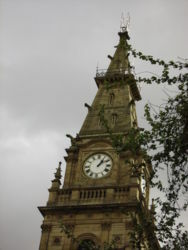 Exposure / Metering on the photos of the clock tower seems good, with the dark areas of the photo not too dark, and the bright areas still visible. Lens noise and zoom: The lens is fairly quiet but not silent. There are around 9 / 10 steps between wide angle and telephoto - this gives good control over how you frame your subject. 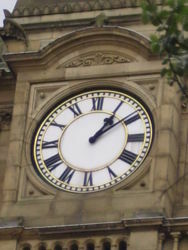 Other Image Quality issues: Purple fringing can be seen in some extreme test cases near the edges of the photos, for example in the Banana Lamb photo and in the Clock Tower photos, however it isn't a major issue on this camera. There was some corner softness. The macro mode allows you to be 5cm away from the subject - this allows you to get good, close-up, detailed macro photos. The camera does not have custom white balance - auto white balance did a fairly good job here. Video mode: The camera features a 320x240 video mode at 15fps with sound - this is fairly poor. The camera doesn't have a built in speaker, so playback of videos on the camera are without sound. Value for Money: The Pentax Optio E10 at around £97, is good value for money for a 6 megapixel digital camera with a 3x optical zoom lens and a 2.4" screen - however compared to other digital cameras around this price, the E10 is fairly poor value for money in regards to results - other budget digital cameras tend to produce better images, with less noise, are generally much quicker, and can focus in low-light. There is a lot to choose from at this price point, and if your budget wont stretch higher then I would recommend considering some of the following 5 or 6 megapixel digital cameras: Panasonic Lumix LS2, Olympus FE-120, Olympus FE-115, Sony Cybershot DSC-S600, or Casio Exilim EX-Z60. 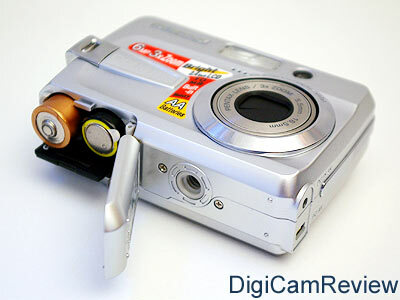 (7/10) See more digital camera reviews sorted by megapixels here. Summary: The Pentax Optio E10 is a budget 6 megapixel digital camera with a 3x optical zoom lens and a fairly large 2.4" TFT screen. The camera's price makes the camera appear to be a bargain, but the camera has far too many problems for it to be recommended. Speed in use, high noise, poor picture quality, poor video mode, and poor screen quality are just some of the cameras flaws. This camera's most irritating flaws are the speed at which the camera operates, and the very poor success rate focusing indoors - these flaws are something digital cameras from several years ago were guilty of, and in 2006 is simply unnacceptable. If you intend to take any photos indoors then this camera is definitely to be avoided! There is no reason that a budget digital camera should be this bad - have a look at the Panasonic Lumix LS2, or the Olympus FE-120 for budget digital cameras that produce great images. Get the best price below! High noise at all ISO settings, even in bright sunlight. 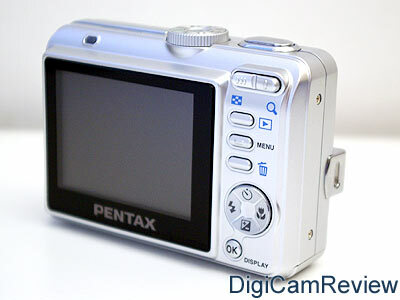 Additional Test Images are viewable in the Pentax Optio E10 Sample Photo Gallery.